It’s November and it’s with a certain amount of trepidation that I arrive in Southampton. First I’m worried about the weather at this time of year but second this will be my first cruise on a large boat. 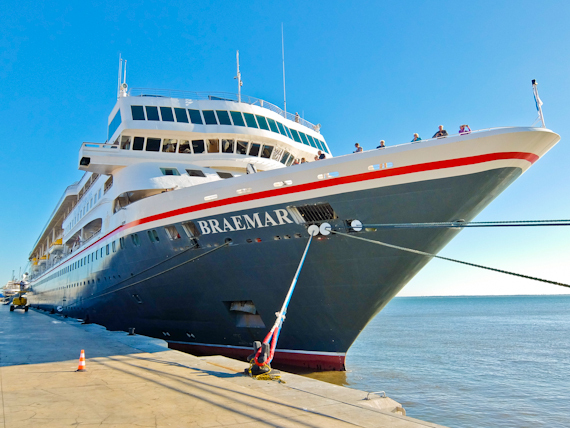 Fortunately, the Braemar is smaller than most, at a little over 24,000 tonnes and holds only 930 passengers. 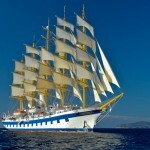 I climb on board and make my way to what will be my home for the next 13 nights. I’ve been upgraded and the cabin is right at the front, with a large window overlooking the bows and there’s a double bed, a small table, two armchairs and a compact bathroom. It’s much larger than I thought it would be. 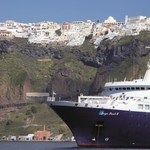 The ship has eight decks with the top one containing two pools and a couple of Jacuzzis and rows of sunbeds. I take a look but am not expecting to make much use of them as the sea has suddenly turned rough as we go through the Channel. Indeed, lying in bed later, it seems that my cabin is bearing the brunt of it, being high up and right at the front. It doesn’t disturb me too much but other passengers don’t get much sleep. After a couple of days of rough seas, the sun begins to break through and life settles into a pleasant rhythm. 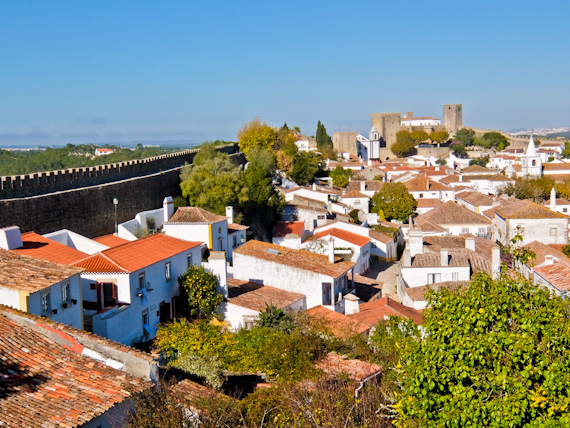 Lisbon is sunny and warm and I explore the historic Alfama district before taking a trip to the historic town of Obidos, around an hour to the North. In the summer, this is so packed with tourists that it’s almost impossible to walk in the main street but this time of year it’s pleasantly quiet. I do a tour of the ramparts, not for the faint-hearted as there’s no guide rail and the path is quite narrow. We sail in the evening and next day brings us to Portimao, on the Algarve. 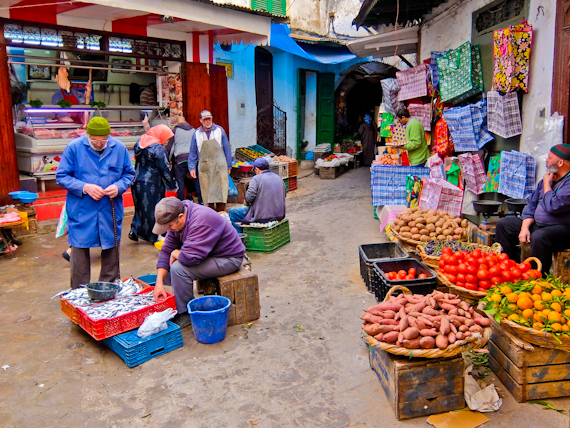 This is a centre for sardine fishing and small restaurants on the seafront serve them up grilled. 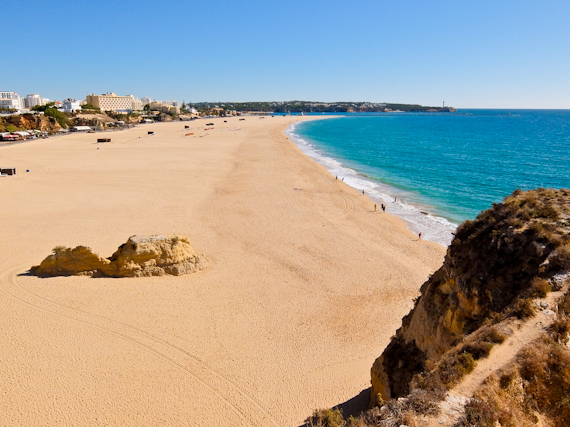 I’m fancying a swim so make my way to the beach of Praia de Rocha, a wide stretch of golden sand backed by rocky cliffs. The water is fresh, not warm enough to linger, and I’m one of the few brave souls to tackle it. In the afternoon, I cross to the other side of the river and explore the Triana district, all narrow alleyways and once home to the city’s gypsies. It’s undergoing a process of gentrification but I stumble on a small bar where outside, two guitarists are accompanying a young woman singing and stamping flamenco. This is decidedly not for tourists so I linger and enjoy the music. Although Malaga is an attractive city in its own right, I’m taking a trip to Granada and the Alhambra Palace, a couple of hours away. 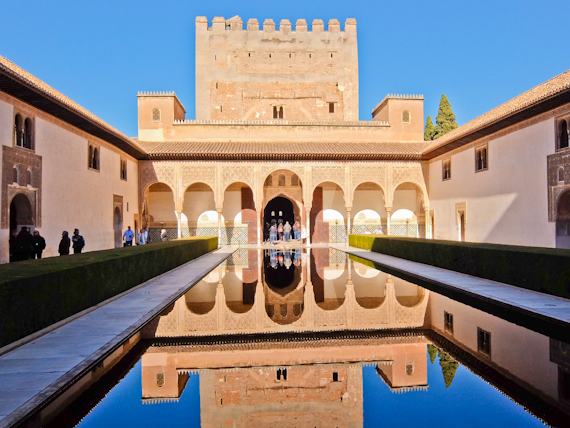 There are three main attractions here – the fortified Alcazaba citadel, all towers and ramparts, the beautiful water gardens of the Generalife, and the Nazaríes Palace. This Moorish delight is the highlight and despite all the hype doesn’t disappoint. The fountain of the lions is sublime and I’m just wishing I have more time. On my last day at sea I spend a delightful afternoon in the Observatory, taking tea with scones and jam, to the sound of the cocktail pianist. This is an added extra and later I decide to spend a few of my remaining pennies and take advantage of the spa. I get a full body massage to iron out any remaining muscle tension, before going back to the stresses of life on dry land. I’ve made some good friends during the voyage and there’s time for one last supper before we all go our separate ways. The food has been uniformly excellent and tonight is no exception. Next morning, as I make my way down the gangplank, I realise that I’ve enjoyed cruising more than I thought – It’s definitely something I could get used to. A similar cruise next year with Fred. 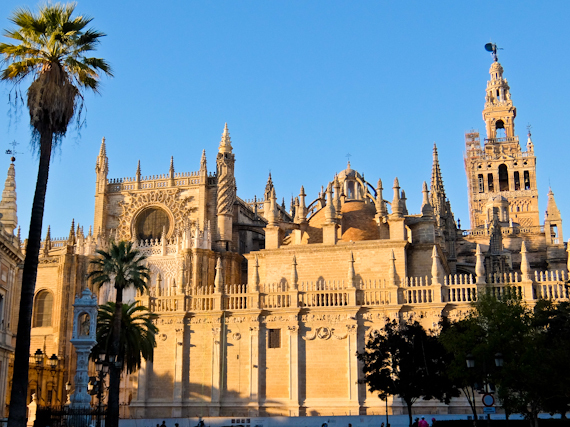 Olsen Cruise Lines, will be a 14-night ‘Authentic Andalusia & Seville Orange Blossom’ departure on board Braemar (M1806), sailing from Southampton on 17th March 2018. Ports of call include: La Coruña, Almeria, Malaga, Gibraltar, cruising the Guadalquivir River, an overnight stay in Seville, calling at Cádiz and Lisbon, before arriving back in Southampton on 31st March 2018.Prices for this cruise currently start from £1,499 per person, based on an interior twin-bedded room (subject to availability), and includes all food and entertainment on board, and port taxes. 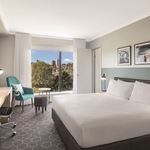 Drinks are extra but if you opt for Fred Olsen’s All Inclusive Drinks Upgrade you can enjoy selected white, red and rosé wine by the glass and selected house beers, house spirits and soft drinks for £15 a day. For further information on Fred. 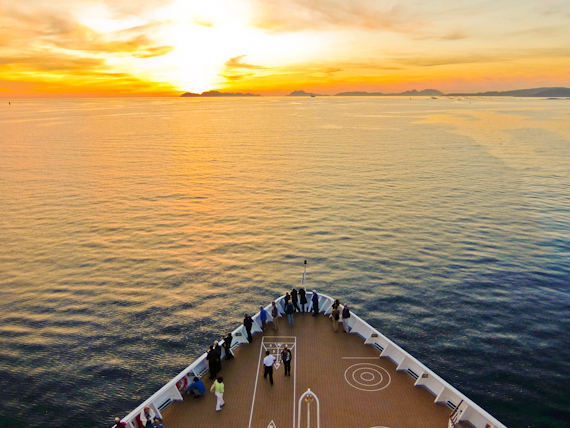 Olsen Cruise Lines, visit their website or call Reservations on 0800 0355 242 (Monday – Friday, 8am – 8pm; Saturday, 9am – 5pm; Sunday, 10am – 4pm). The fastest way to Southampton from London Waterloo is with South Western Railway and takes an hour and 14 minutes.